It's important to share engaing books with children that have math learning as a primary goal. When reading books, it’s important to realize that math is a broad subject. Clearly, a counting book or a shape book describing circles and squares are both explicitly about math, in the sense of the kind of formal math we usually learn in school. Although not explicitly about school math, Goldilocks entails relatively complex math ideas— order and correlation. Other storybooks deal in an informal way with patterns, spatial relations, measurement, addition and subtraction, and division — all of which are “math.” Indeed, it would be hard to find a non-math storybook that does not include everyday math in this broad sense. In fact, ordinary storybooks may contain more interesting math than do explicit math storybooks (and textbooks, too!). This in turn raises the question of the type of math you want your child to learn — school math or embedded math? The answer is both. Children need to memorize the counting words, but also need to know that their order specifies relative magnitude. They need to memorize 1, 2, 3, 4, but also need to know that 3 is a bigger number than 2 because it comes after 2, but it is also a smaller number than 4, because it comes after 3. Memorizing symbols is not enough, just as knowing the everyday story is not enough. Eventually, the child needs to know how the informal ideas provide the meaningful basis for the formal math. Read books that you both find interesting, amusing and full of wonder, books that will grow the child’s budding love of reading. Bypass boring stories, even if you think they are “educational.” Enjoy the story! StoryWeaver recently created a series of openly licensed, digital-first books that celebrated math concepts from the simple to the slightly abstract. 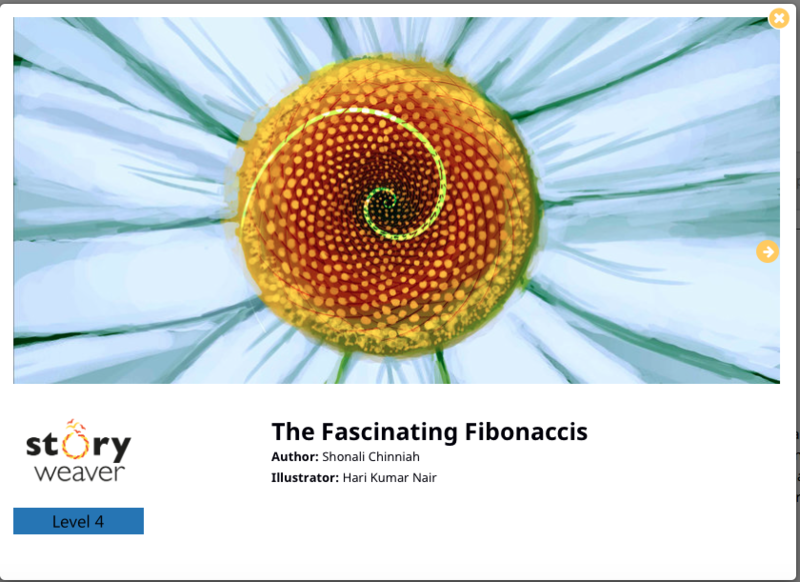 Created under an Oracle Grant, these books were guest edited by renowned children's author Roopa Pai and dealt with every day fractions, Fibonacci series, dates and distances small and great. 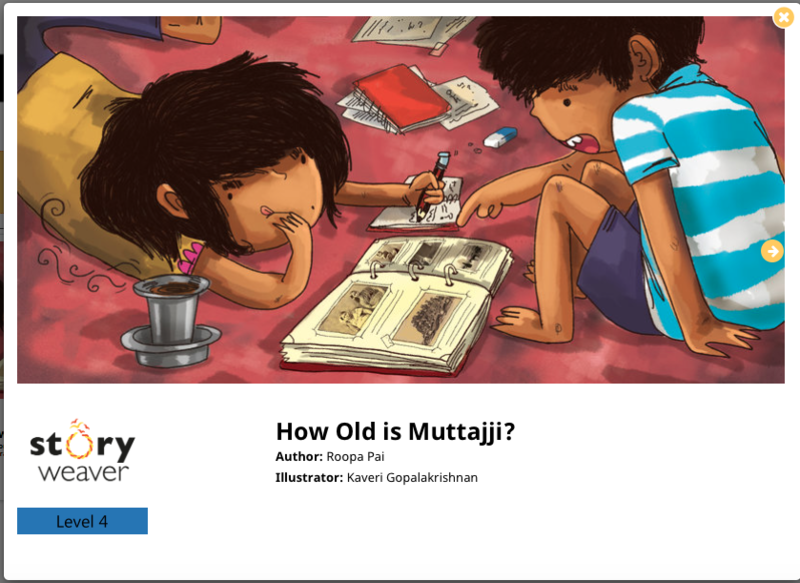 Roopa wrote one of the stories, 'How Old is Muttaji?' - a delightful concoction of math, history and culture! The books were part of a larger set of STEM books that were created to fill a gap in children's publishing in India: engaging non-fiction books and joyful, non-fiction narratives. If you thought your friend's house on the other side of town was far away, you have clearly not read this book. 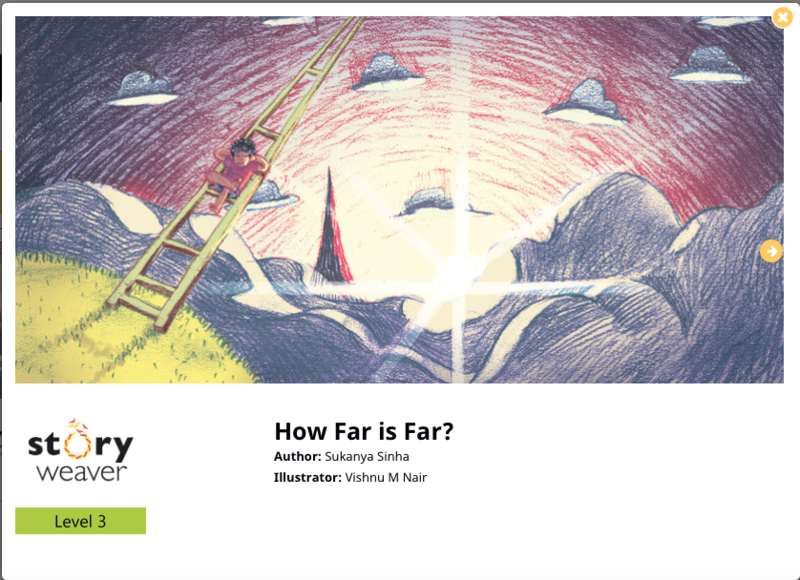 Climb the Magic Math Ladder to get from where you are to the top of Mount Everest, to Kashmir, to the moon, the Sun, and ultimately, to the edge of the Universe, which is very, very, VERY far away indeed. Ready, steady, go! Basha and Sainabi are in a panic. Ammi is ill, and Saira aunty has just announced that she is arriving for lunch - with 23 other people! Budding chef Basha thinks he can cook Ammi's Dum Biryani, but her recipe only makes enough for 4 people. Math wiz Sainabi jumps in to help, declaring that she knows how to turn a 4-person recipe to a 24-person recipe. 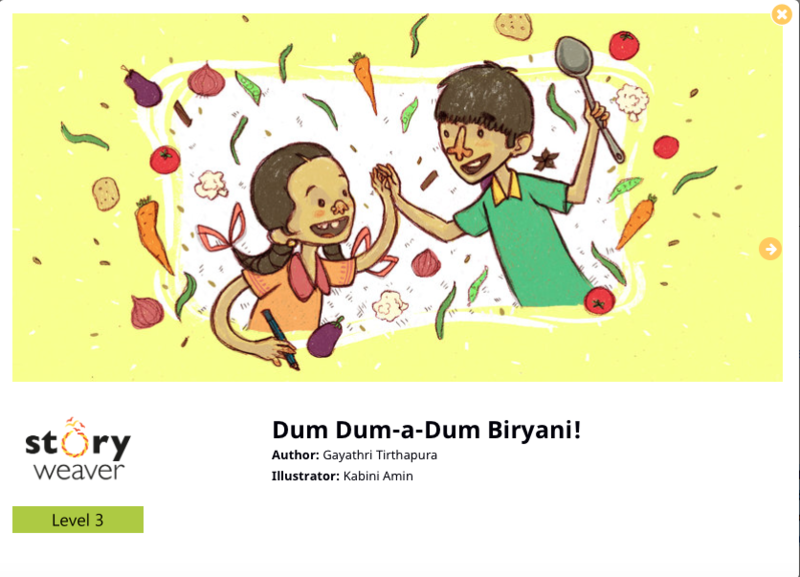 Do the siblings succeed in serving up a truly Dum Dum-a-Dum biryani? Read this book to find out! Putta and Putti know that Muttajji is really, really old. But exactly HOW old is she? Join the twin detectives on an exciting mathematical journey through Muttajji's memories and India's history in their quest to crack the big question. Have a look at these digital books, which are all available to read, download and print for sharing absolutely free! The books are also available in a number of Indic languages, and if you'd like to translate the book in to a language you're fluent in, you can use our translate tool!